Spring has sprung and that means Easter is just around the corner! The snow is melting, the flowers are blooming and tulips are filling the shop and having their moment of glory! Flowers are the perfect way to celebrate this family holiday, so why not give the gift of color and cheer! Stop by the shop or check out our beautiful selection of tulips, flowers and gifts on the website! 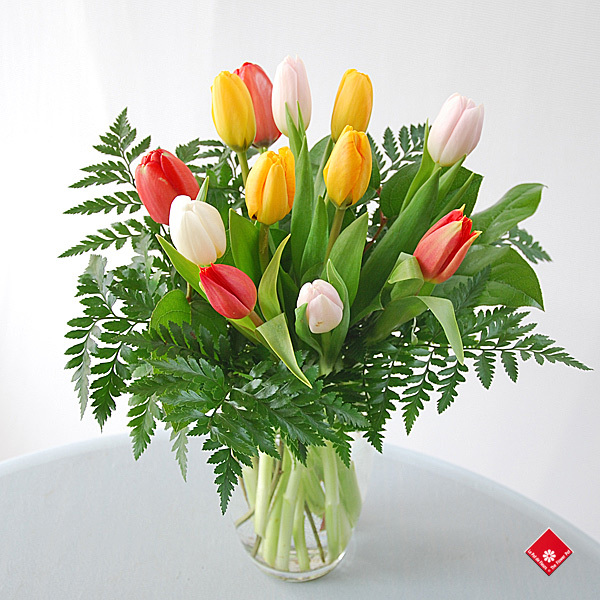 This week only, we have a 20% discount on 12 tulips in a vase when you order online. Offer some warmth and sunshine to that special someone, just in time for your Easter and Passover celebrations!